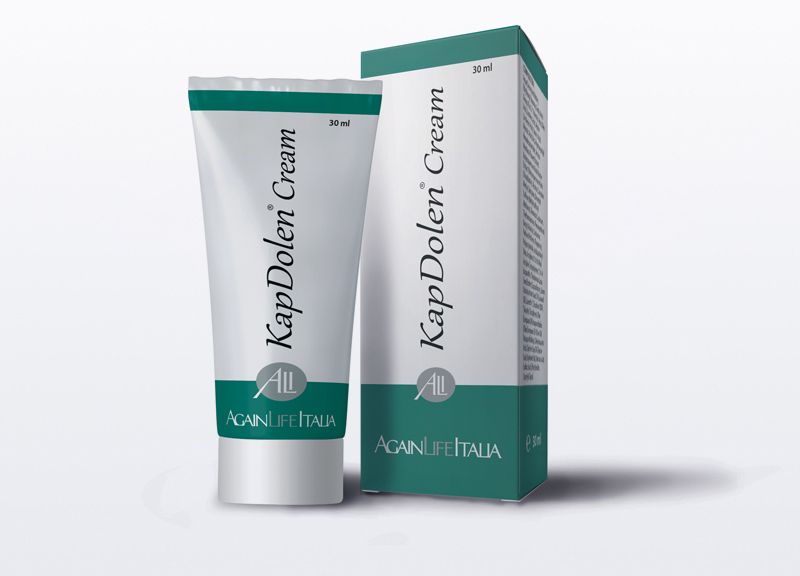 KapDolen® Cream, for topical use on hands and feet, finds useful application for control and progression of symptoms caused by alteration in the sensory fibres of peripheral nerves in subjects receiving chemotherapy and/or radiotherapy. These symptoms may appear as pain, burning, heat, dysesthesia, paraesthesia, distal sensory loss occurring with a stocking and glove distribution. Hand treatment: apply and spread evenly on the hand a thin layer of KapDolen® Cream. It is recommended not to rinse the affected area before 15/20 minutes. Foot treatment: apply and spread evenly on the foot a thin layer of KapDolen® Cream. It is recommended not to rinse the affected area before 15/20 minutes.